Many things can be found in Brussels, the capital city of Belgium. If you love beer, chocolate, and good food then this is the place for you. There is a wide variety of restaurants, bistros, cafes and fast food chains here that offer great tasting lambic-style beer and cherry beer or Kriek. Being the home of chocolate and praline companies such as Godiva, Leonidas, and Neuhaus, there are many opportunities to try their tasty delights. Then there is the Brussels waffle, mussels and French fries. Their cuisine, according to connoisseurs, is one of the best in Europe. It has a strong French influence, as more and more native French people are living in the city. 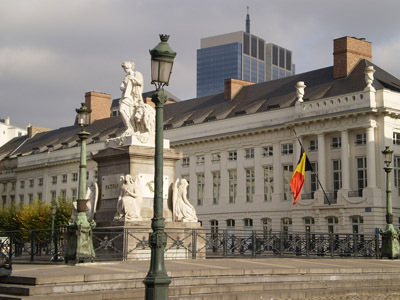 There is a wide array of architectural structures in Brussels that date back from the medieval times. The Grand Palace is one of its main attractions, which was declared by UNESCO as a World Heritage Site since 1988. Along with it, the Royal Palace is also a popular hot spot, as well as the large greenhouses of the Laken Castle and St. Michael and Gudula Cathedral. A tall structure called Atomium is also a popular landmark, as well as parks and gardens like Mini-Europe Park, the Manneken Pis, and the Cinquantenaire park. Besides these, museums and theaters are also found in the city, such as the La Monnaie Theater, Royal Museum of Fine Art, Museum of the Army and Cosmic Museum. Brussels is also famous as the home for institutions like the European Union and the North Atlantic Treaty Organization, and because of this, it has always been a center for politics. Apart from these places, you would absolutely enjoy the culture in Brussels. There are lots of festivals and fashionable people around.